There are 25 reviews of Black. Hey! CdG Black smells familiar to me, yet also unique. The licorice is of the anise-like black variety here, and it along with the incense, pepper, and birch tar give the fragrance a distinctive, sharp yet pleasant sweet spiciness that's legit! CdG Black has a burnt quality to it which is intriguing in itself. Cedar and vetiver - as used in other CdG scents - add a mellowing influence but don't douse the brightness too much. After the peppery - anisic - boozy rush of the intro it could be possible to talk about the many nuances there are in Black, but this would probably be misleading because they're really no more than a sideshow. Black doesn't take long to settle into its groove of burnt cedarwood and rubber with a sweet marshmallow undertone. The cedarwood is the principle actor here, and its also a basenote - and we'll see why this is important later on. Cedar is paired with a smoky note - which may well come from cade oil and birch tar, but the woody core also smells like it contains an empyratic grade of cedarwood oil (which the amateur can buy in head shops in the UK) and this oil has a remarkably similar smell of blackened wood and rubber to that which is found in Black. The best part is this early main phase where the rubbery and smoky notes add a frisson of danger, but the rubber soon fades away (which is characteristic of the head shop oil) and leaves only the smoke clinging on. The smoke then merges with rising incense and bitter powdery iris notes, which do nothing to change the direction of the scent, or its desiccated texture. These secondary notes are essentially replacements for the more interesting modifiers that preceded them. For a while Black is driven by a contrast of bitter smoke and sweet fruity notes, but as they fade out and the internal dynamics unwind it loses a lot of its mystique, and once this transition point is reached the profile doesn't change that much anymore. All thats left is a slow and linear decline of the incense, smoky and sweet notes from around the burnt cedar which, eventually, is left standing on its own with just a whiff of licorice. At first the idea of burnt smoky wood and black rubber seemed bold and inventive, but with more exposure to it I've changed my mind. Black starts off well but it gets tedious - it far outstays its welcome. This is a good, basic sort of woody scent, the sort of thing CdG has as a specialty. Starts a bit sweet. Develops smoky, woody notes with a noticeable licorice aspect. The leather and wood give a gentleman's club atmosphere. Eventually the scent resolves into a simple but pleasant wood chord, of good longevity. I get mostly liquorice and fireplace or burnt rubber... it reminds me a bit of Tauer scents. It's interesting and I kind of like it but the burnt smell gets annoying after a while. My wife says that it smells of Christmas. Remember in Taxi Driver when Travis Bickle burnt all the flowers he sent to Betsy, but they were sent back 'cos Betsy thought he was a nutter? That scene is how this smells - evocative, dark, menacing, tragic. The black pepper smacks you in the face like Mike Tyson smacking you in the face if he were drenched in Black Pepper. Which he isn't. Or i assume he isn't. Who knows? But if he were then this would be the general effect. A tremendous fragrance whose accords lend it something distinctly unique. It's not for everyone granted, but if you can search past the pepper and the tar and then appreciate the combination and the balance, you will be hooked. Absolutely wonderful! A sharp blast of black pepper opens things up…and it just keeps getting better! With all of the “blackness,” it carries itself deftly, never overwhelming. This is never smoky, but dusty, like ashen coal? As things warm up, frankincense, licorice and cedar smooth things out. I’ve experienced birch tar overshadow when used, but not here! This is modern in construction, but very familiar in execution, and more versatile than one might think. I need to get a bottle! Thumbs up! 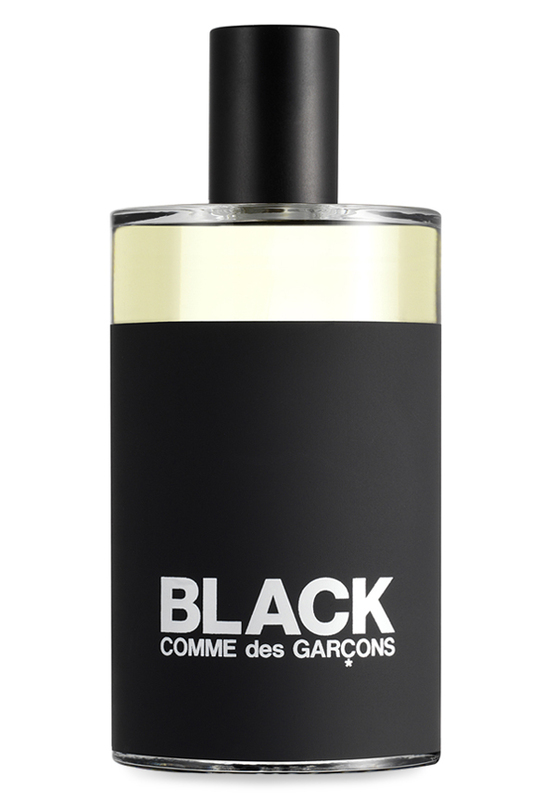 COMME DES GARCONS "Play Black" EDT 3.33 oz 100 ml. Spray .No Box , NEW!